Summer may be winding down, but it’s still 5 0’clock somewhere! That means it’s also time for Just Be Slower’s margarita cupcakes! Margaritas are so fun and colorful they’re perfect for summer and a staple at any happy hour. These are always a hit for any BBQ and will earn you plenty of compliments for looks and taste. 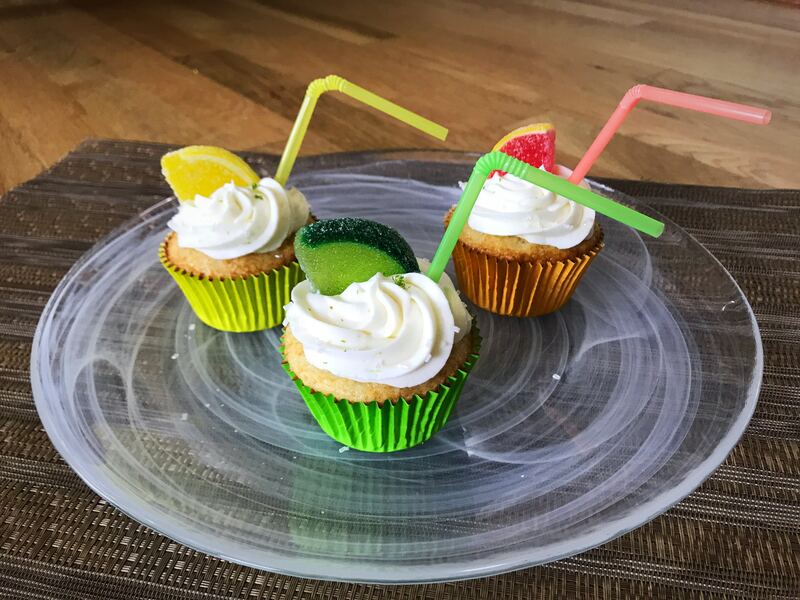 Make your very own happy hour with my margarita cupcakes recipe and directions below. 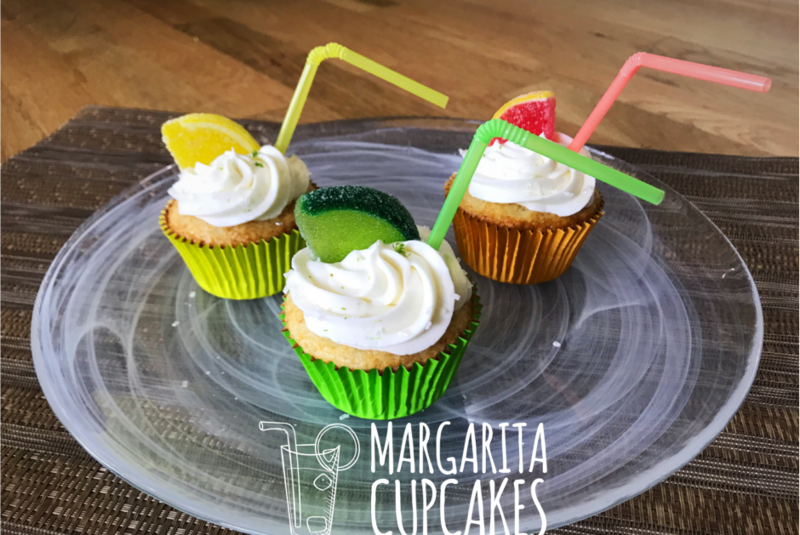 To make these margarita cupcakes there are a few special ingredients and decorations to gather. For the full margarita cupcake look, you will need: colorful plastic straws, white sanding sugar, and colorful fruit slice jelly candies. Various types of fruit jellies are out there, but I find these fruit jelly slices to be the best looking for these margarita cupcakes. Of course, any will do. 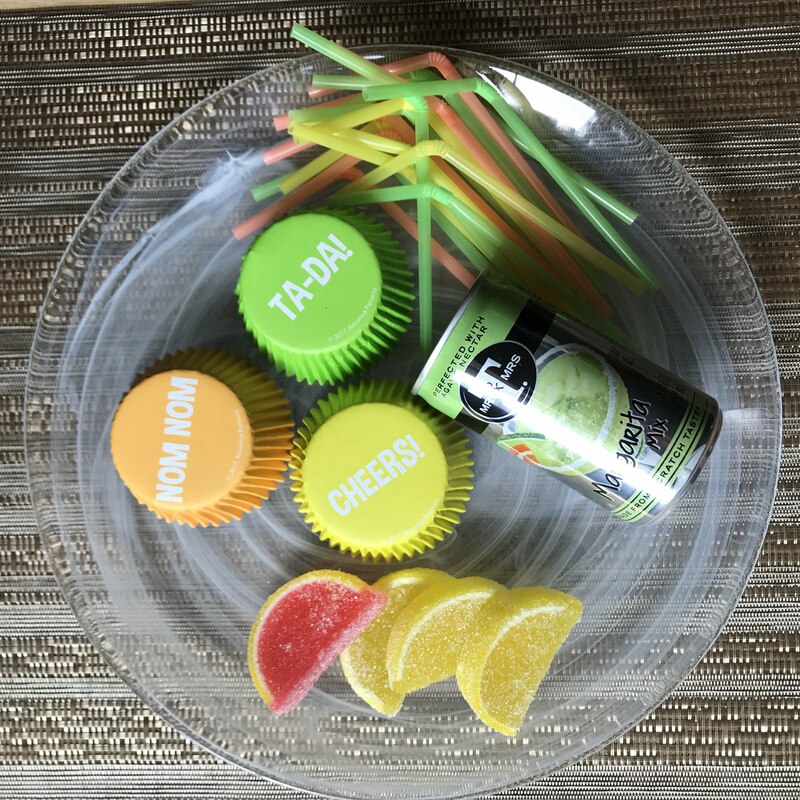 The best cupcake wrappers will coordinate the colors of the straws and fruit slices. I chose these foil lined wrappers from the Ro Baking line. 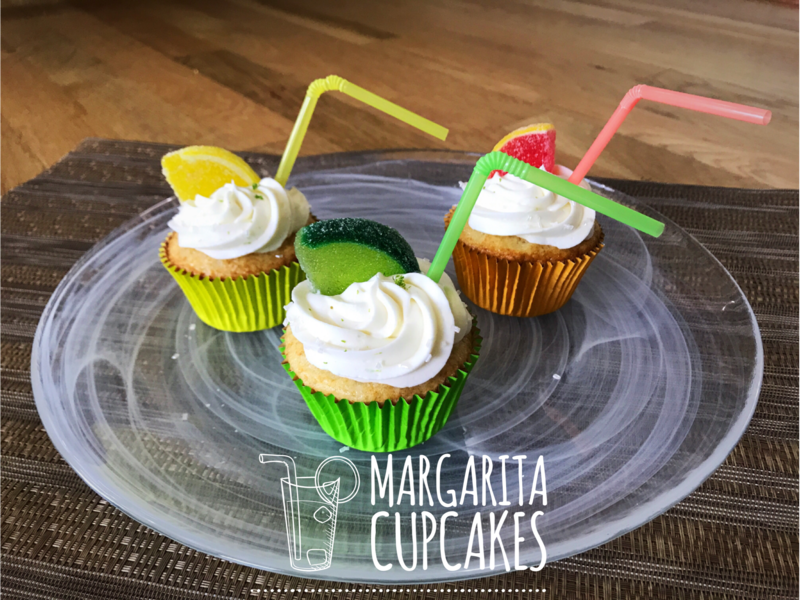 They stay bright even after baking which is great for these summery margarita cupcakes. I used the green, yellow and orange for my margarita cupcakes. To make the cake, we are going to use a boxed cake mix with some special margarita touches. 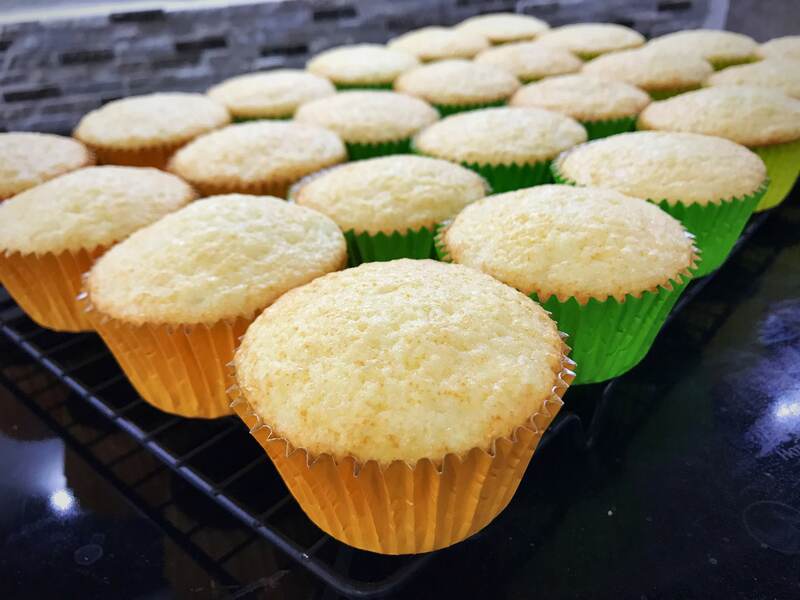 Vanilla cake mix is the perfect base to customize into margarita cupcakes. A standard cake mix calls for water to be added. Instead, use a liquid margarita mix and some lime zest and voila! Margarita cupcakes! Mix all ingredients according to package directions making sure to substitute the water for your liquid margarita mix. Zest half a lime and add zest and mix together. Fill cupcake wrappers 3/4 full and bake according to package directions. Aren’t those beautiful? Happy hour is nearly here! Let’s decorate these colorful cupcakes and make them into the margarita cupcakes we’re after! 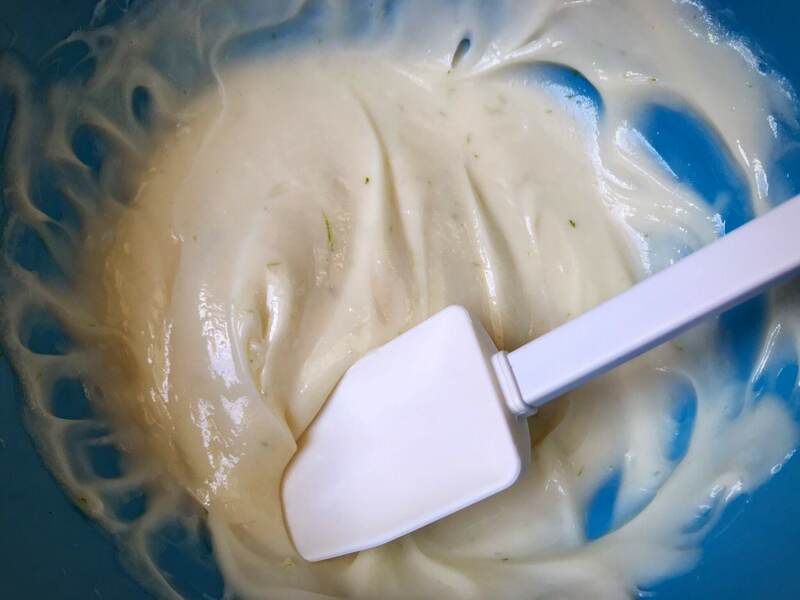 Use my whipped cream/cream cheese frosting, but with a new lime twist…literally. Whip the cream in a stand mixer on medium high until stiff peaks form. This takes several minutes and completes the whipped cream portion of this recipe. In a medium bowl add cream cheese. Whip with a handheld mixer for a couple minutes until it looks like smooth ribbons. Add all the sugar and continue mixing until completely combined. This is important, all the sugar must dissolve in the cream cheese. It doesn’t take long, but you can test it by feeling a bit between your fingers. If it is a little rough feeling, keep going with the mixer. When smooth add the pinch of salt and vanilla. Mix to combine. Add the lime zest and mix completely. This completes the cream cheese portion. Add the cream cheese mixture to the whipped cream. Let the mixer combine on low or use a spatula to fold together until combined. This is the lime-infused cream cheese portion of the frosting. Once prepared, it’s time to frost! Fill a piping bag fitted with a Wilton 1M tip halfway full. Pipe a low swirl starting from the outside going towards the middle. When all the cupcakes are frosted, time to add the final touches to bring these margarita cupcakes to life. Use the white sanding sugar to sprinkle around the edge to resemble a salt-rimmed glass. 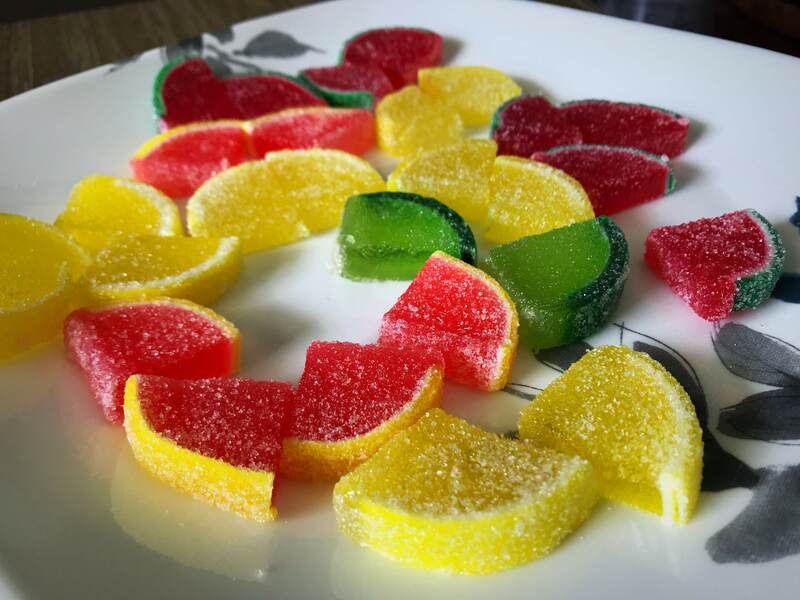 Trim all your straws to size and cut your fruit slices in small chunks to resemble a fruit garnish. (If you don’t like the exposed part of the jelly, you can dip it in some granulated sugar.) Add the straws a little off center and the fruit slice toward one side. The fruit slices can be heavy so be careful not to put them too near the edge. Sprinkle some extra lime zest all over the top if you have some left for an extra burst of flavor and color. These cupcakes are ready! Margarita cupcake cheers all around for this new take on a happy hour treat. What’s your favorite flavor of margarita? I like mango when it’s available. Otherwise, keep the classic lime margaritas (and margarita cupcakes) coming!